It's been just one week since a horrifying shooting at Marjory Stoneman Douglas High School in Parkland, Florida left seventeen dead. Since then, a group of student survivors have been remarkably brave, adamantly demanding concrete changes to American gun policy. They're currently organizing March For Our Lives, a national walkout and march on Washington, and have gained the support of the Obamas. Tonight, CNN hosted a town hall in an effort to facilitate conversations between the students, Florida politicians, and the NRA. 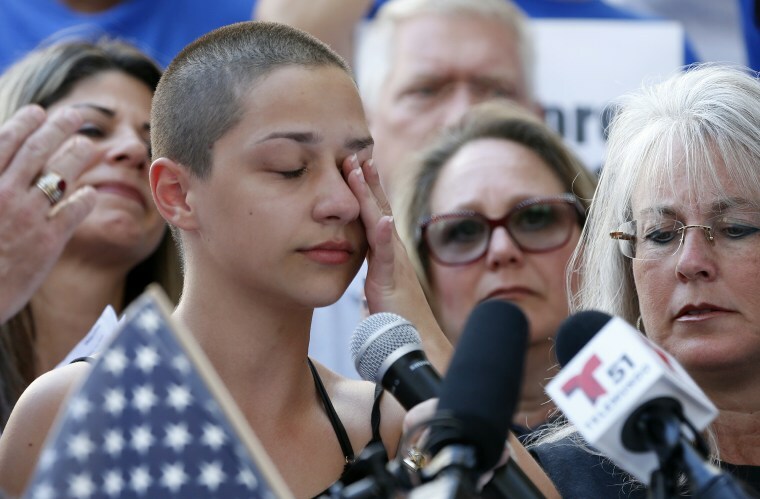 Those in attendance included young activists Emma Gonzalez and Cameron Kasky, senator Marco Rubio, and NRA spokesperson Dana Loesch. The exchanges were necessarily uncomfortable, but the students firmly held their ground. In one particularly telling moment, Kasky asked if Rubio will continue to accept money from the NRA. Rubio answered he will accept donations from those who support his agenda. Watch this, and more powerful highlights from the town hall, below. Rubio refuses to say he'll stop accepting @NRA blood money.